Devall is out of control this week! Now he gives us a look at THREE different Dr. Who toys from Underground Toys! A Very Special Thanks to the KA-RAZY KINGS OF TOYS for supplying the review samples! Check them out at KrazyKingsofToys.com! And as always, make sure you head over to the FORUMS to DISCUSS! Devall is on a roll, bringing us another awesome DC Universe review! This time he takes a look at the new Target Exclusive JLU Attack From Thanagar six pack! Special thanks to Mattel for sending this our way! As always, be sure to head on over to the forums to discuss! Devall is back, and this time he takes a look at the ALL-NEW DCUC 2 Pack EXCLUSIVE to MattyCollector.com, THE JUSTICE IN THE JUNGLE! You can pick this 2 pack up over at MattyCollector.com RIGHT NOW! A special thanks goes out to TOYGURU! And as always, make sure you head over to the FORUMS and DISCUSS! ActionFigureDisplays.com has recently released the second series of awesome figure displays on their website! Pixel Dan has a look at this new series, focussing on the awesome Dark World Castle display! Check it out! A very special thanks to the guys at www.ActionFigureDisplays.com! If you're interested in adding your own display to your collection shelf, head on over to their site and order one today! 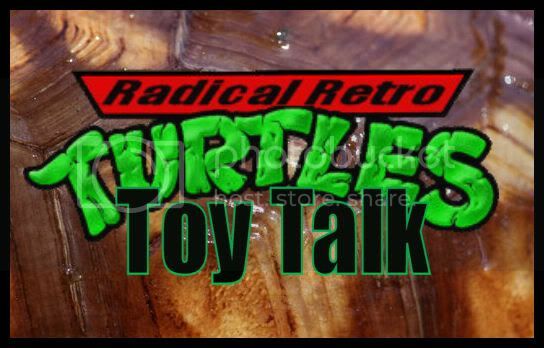 It's time once again for Radical Retro Turtle Toy Talk! In this week's installment, Suine Hallock has for us a look at the psychotic pizza chef known as Pizza Face! Click through to check him out! Pixel Dan has an early look at the upcoming 6" Winston Zeddemore figure from the Mattel Ghostbusters toy line! Check out the video review to check him out! Winston goes on sale on December 15th on www.MattyCollector.com! Special thanks to our friend ToyGuru at Mattel! Devall is back with an all-new review! This time he gives us a look at the 12 inch Egon Spengler figure! Make sure you head over to Mattycollector.com on December 15th to pick one up for yourself! A special thanks goes out to ToyGuru and Mattel for the sample! And as always, head over to the forums and DISCUSS!